Will Clorox Kill Moss and Lichen? Homeowners use Clorox bleach throughout the home to whiten, clean and disinfect surfaces and fabrics. Moss and lichens can grow on roofs, trees and other outdoor areas. Bleach kills many microbes on surfaces in kitchens and bathrooms, and disinfects white laundry when used with hot water, but Clorox bleach may not be the best choice to fight moss and lichens outdoors. Clorox bleach can be used outdoors to clean mildew and dirt from items like roofs, decks and furniture, but may not actually kill moss and lichens and can discolor fabrics or finishes. The Cornell Cooperative Extension of Oneida County recommends against using Clorox bleach as a roof cleaner for this reason, but you may decide to use it on decks or walkways. 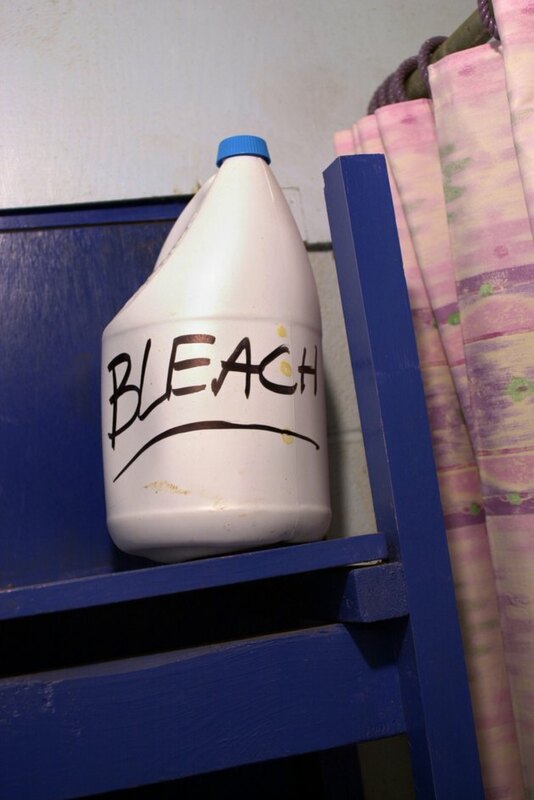 Always test bleach on an inconspicuous portion of the area or item in question to see whether it will damage the color or material before using it on the entire item. Avoid bleach overspray to prevent damage to surrounding vegetation and items. If you decide to use Clorox bleach to kill the moss and lichens, it may take repeated applications. Treat the moss and lichen as soon as possible for best results. Even once you kill the moss or lichen, the shoots and foliage that grew while they were still alive will be visible for a while unless they are forcibly removed. Pressure wash or scrub the item with force to remove the visible parts of the remaining moss or lichen. Instead of Clorox bleach, try an application of a product based on nitrilo triacetic acid, trisodium salt or acetic acid. Check for natural products that claim to kill moss or lichens that are safe to use near other greenery to use in and around planting area. If possible, prevent moss and lichen growth from occurring. Sometimes you just can't prevent moss and lichens from taking hold in your area and growing prolifically. The moss and lichens may not be harming your trees and lawn, so you may not need to prevent or remove them. Some people may find the plants ornamental and enjoy the different varieties that grow naturally in the area. Moss and lichen growth can damage roofs when they grow in between shingles and spread the shingles apart. They can also be dangerous when they cause a walkway or steps to get slippery. 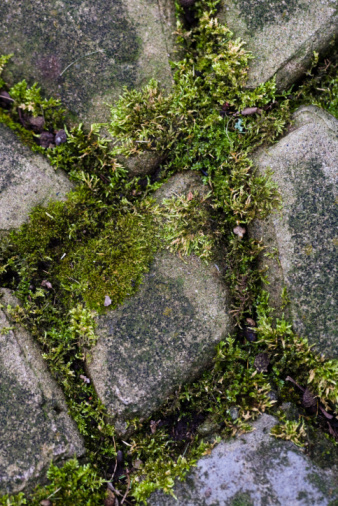 Because mosses and lichens prefer to grow in areas with low light, low temperatures and lots of moisture, prevent their growth by ensuring proper drainage from the area. Don't allow moisture to sit and pool. Moss and lichen growth may dry out naturally during hot dry seasons. Deprive the mosses and lichens of their nutrition source by keeping the area clean of organic debris such as fallen leaves and branches. Prune hanging plants regularly to reduce their shading and extra leaves.